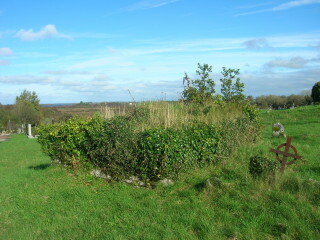 Kilcummin cemetery is an important focal point in the lives of the local community. It is also an important genealogical and archaeological source and provides clues to the understanding of our past. When recording the gravestone inscriptions, measuring the graves and photographing them we follow the guidelines of an archaeologist with meticulous detail, we carry out everything according to the principles of best practice under the guidance of Catherine Cronin. This is a worthwhile and rewarding project which will be of lasting benefit to the parish. 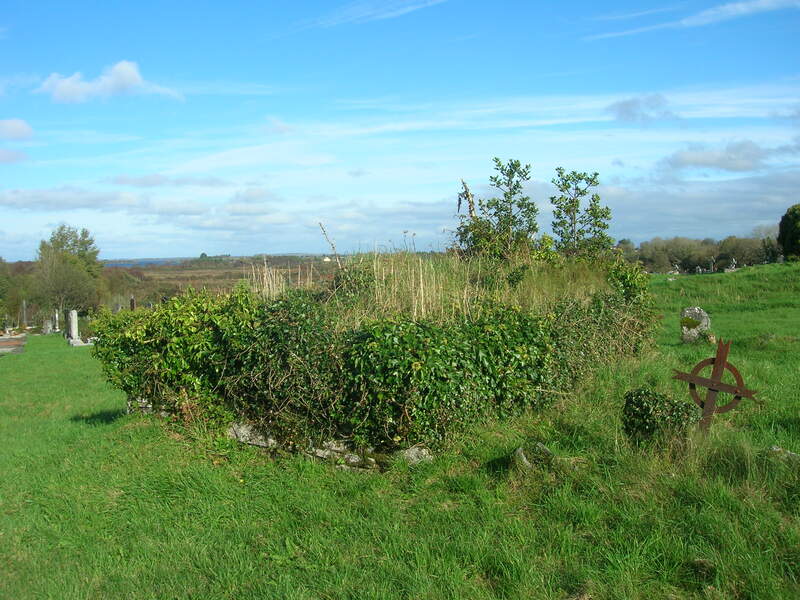 The ruins of the medieval church just in front of the main entrance is situated possibly on the site of St Cuimmin’s Early Christian monastery see – (“A Guide to Lough Corrib’s Early Monastic Sites” by Anthony Previte). There are a number of ancient stone slabs, box tombs and table tombs placed within and outside the ruin. The slab inscriptions have been exposed under archaeological direction. A special word of thanks to Paul Stewart, Pat Mc Donagh and his Fas team who did the heavy work in removing sod, ivy and briars. Slabs were cleaned with soft brushes and water. (Abrasive materials or wire brushes should never be used). Sandblasting the old slabs is not recommended as it damages and erodes the inscriptions and decorations. When we have recorded the inscriptions we intend covering the slabs again with the sod we removed to protect the stone from the elements. There are lichens growing on the slabs, tombs and headstones which allow us to monitor pollution and in some cases they may also help the archaeologist to estimate the age of the stone. Many of the slabs and headstones lie at odd angles which is part of the charm of this old area of the cemetery. I wonder has anyone information on what caused the deaths of the children? We are puzzled by another box tomb and so far we haven’t found an inscription. Perhaps some one could assist us and provide information on this strange structure! 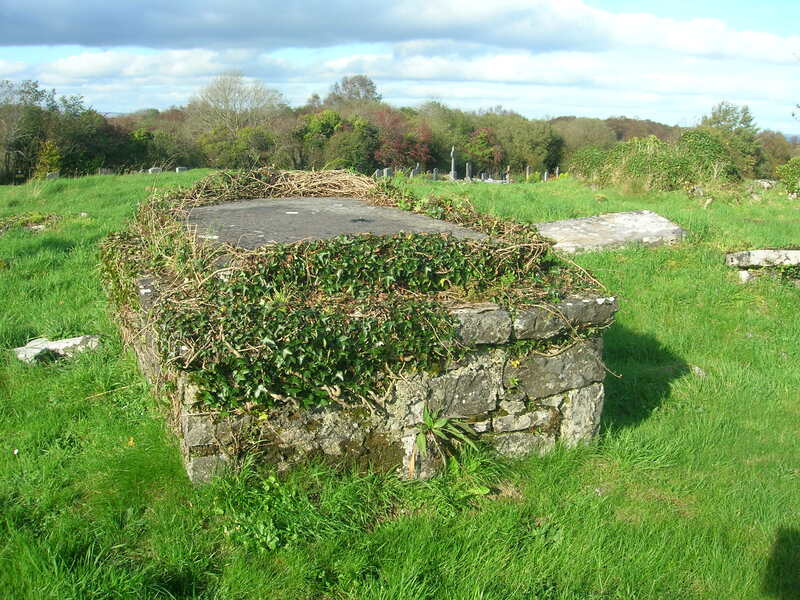 Regarding your request for information on the grave of Constable John Boylan RIC in Kilcummin cemetery, according to press reports at the time, he was buried with his wife – Mary Anne, nee Spillane – who died in Oughterard on November 1st 1918. There does not appear to be any marker for their grave. My grandfather – James Fahy of Gortacarnaun – who died in November 1917 is buried in a new grave in the East corner of the cemetery, close to the road. 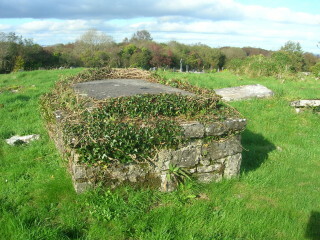 It is possible that Mary Anne Boylan was buried in the same area one year later. If you do not find the actual grave, you can consider erecting a plaque against the wall in that area, subject to the consent of the Local Authority. I am wondering if you have any information on the grave of my great-grandfather John Boylan who I believe was buried in your cemetary on Monday 25th April 1921 after being shot and killed in the Kilmilken Ambush Saturday 21st April 1921? We would very much like to come and visit his grave as a family if possible. Thanks.